The lake is 7 miles long and the water is clean and warm. Great for swimming. Jet skis and power boats are allowed. 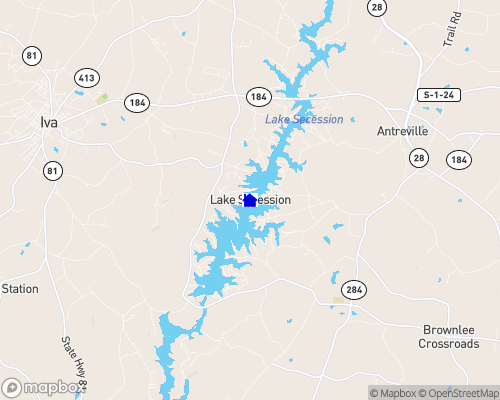 Nice friendly place; good recreational lake. Nearby cities: 15 miles from Abbeville, 20 miles from Anderson, 45 miles from Greeneville, SC. Nearest airport: Anderson 15 miles, GSP has commerical planes. Anderson does not.